about “Beginner Machine Quilting” & “Let Your Foot Loose, Be Fancy & Free”. After teaching at Creative Sewing Center last weekend I got to thinking and quilting and thinking some more. I’ve been thinking about the process of machine quilting and how to better teach the process of machine quilting. I’m thinking that an intermediate class might be a good addition. As I thought about how I learned to machine quilt there was a definite beginning: learning how to adjust tension so that “pokies” and “eyelashes” are less frequent occurrances. Learning how to start & stop. Learning how to figure out the stitching sequence for the different quilterly motifs. Learning how to relax my shoulders and develop better quilting posture. Learning how to set up my sewing space so that it works well for me. For now “Let Your Foot Loose Be Fancy & Free” will be an intermediate/advance class that will incorporate a quick review of some of the basics i.e. tension, posture, needle & thread pairings then get into a lot of stitching and some practicing on paper. My question is…how do you view the machine quilting process? What do you need as a student? Do you need more of the teachers thought process, more demonstration, motif’s to stitch out? Do you want stitching time with various threads? Do you want stitching time with different thread top & bobbin? Do you want music playing in the background in a classroom setting? How much time do you want me to spend demoing stitching? I have the techniques down. It is the inspiration for the quilting designs themselves. How to quilt a pieced quilt so that all the elements are accentuated. I agree with Maggie — that’s a great idea to focus on. “Quilt as desired” can be an intimidating phrase. 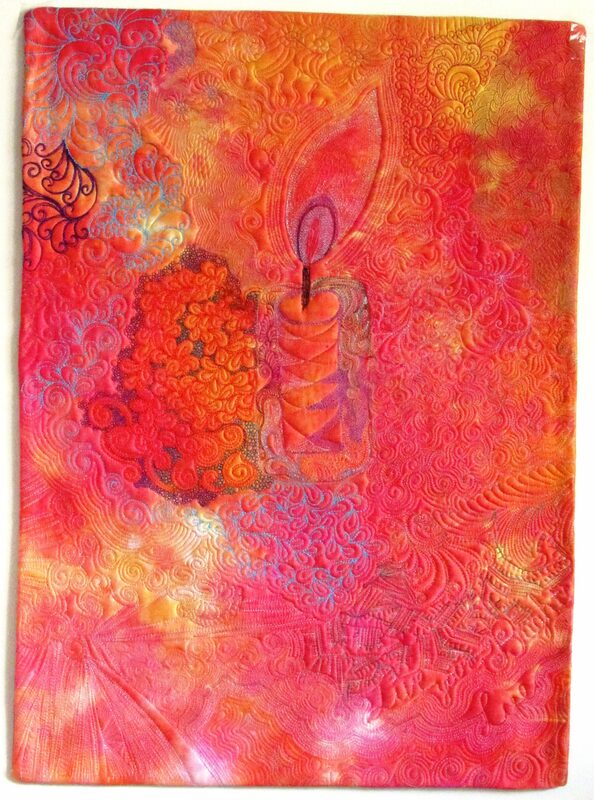 Maybe show or actually demonstrate quilting a pieced block with different motifs in different shapes. Now as for the relaxing-the-shoulders thing, I think some back rubs given by some good-lookin’ men would help tremendously! I may drive over from IL for *that* class! 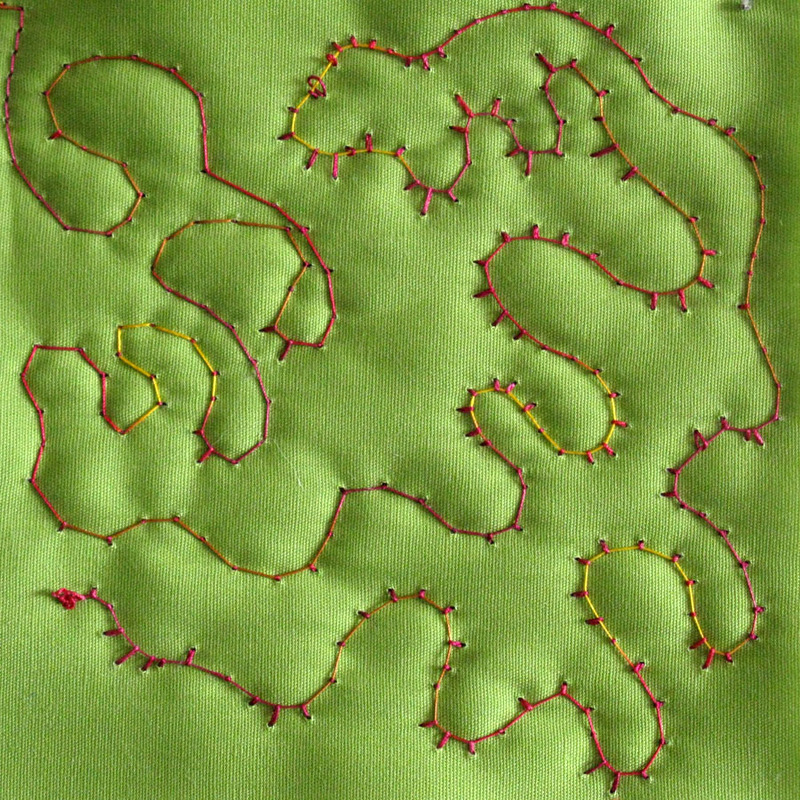 I took a machine quilting class about 5 years ago. I did all the exercises (still have the samplers somewhere! ), and they were pretty good. There were eyelashes and pin dots, but not too many as I got comfortable. What I needed and still need (as I have not yet done anything but straight lines, is courage! Somehow to overcome the space between practice pieces and not being afraid of “ruining” the quilt I have spent so much time on. Even saying “it’s a Linus quilt and they will love it” can’t get me past the fear. I usually have ideas of quilting designs, but can’t get myself to make the leap. Perhaps, for this leap, diagrams of quilt blocks (paper quilts if you want to call them that) on which the students could actually draw the free mo plan on one copy, and then stitch, sans thread on the paper? So ask me why I have never tried this…because I never thought of it before. Music is good, except in the class room, as in retreats, it’s hard to find the right music for everyone. Shoulders do need relaxing. Maybe a 15 minute chair yoga break as part of the class! One need to build confidence in a class and that take time- people want instant results! What I found is that one should not demonstrate and students stitch a small sample- they must practice one concept or filler design on a large enough space to “grasp” it if not master it. A Machine quilting class should be well structured with small baby steps- and then do do do. The ideal situation is a 6 week course where one practise on samples, then on small projects like pillows and then on cheater cloth (things that did not take a long time to meke and can be “destroyed” with inferior quilting- but is also not just samples and practise pieces to be thrown away- people do not want to invest time- unfortuantely. 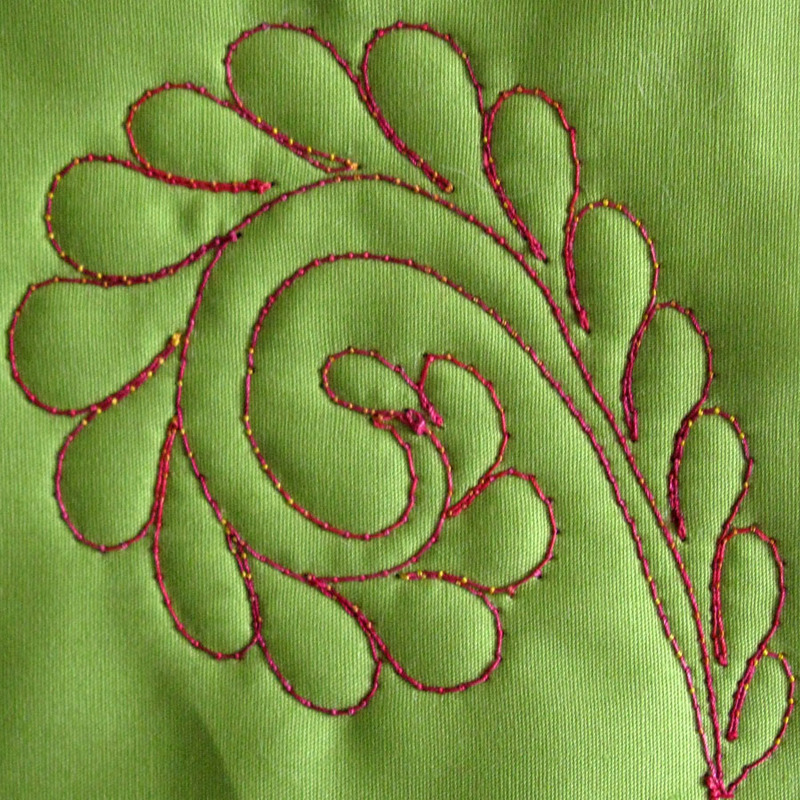 (I also think thread painting where the actual stitch look is not so visible provide a good place to built confidence. A class that concentrated on designs would be wonderful. I have ages to go before I will be a good machine quilter but I know what techniques I need to practice. My biggest hurdle is figuring out how to quilt a completed top. For a beginner, it is best to pass samples, talk about the pitfalls and how to correct them, demo some stitches and then allow time for practice. Handouts are also nice. Whatever you can do so that the student feels successful and will go home and practice so that their success will continue and grow with each project! I think that if I could take a class I would want you to show us how then spend the majority of the class practicing while I had an instructor to tell me what I am doing wrong. I have watched and read numerous lessons on what to do, but when I try to apply what I have learned to the actual quilt it all goes wrong. So let people practice and monitor their progress. I would love that. I wish that there was an intermediate class. There are only a few beginning classes that start with needles, thread, batting, how to make the quilt sandwich, straight line stitching with a walking foot and then there isn’t much time left to practice on free motion stitching. That isn’t a criticism of the classes but I really wish there would be a class that picks up where the beginner’s class ends. I really think it would be beneficial to be taught several easy continuous line designs that would help the novice machine quilter better their skills with regulating their stitch length and controlling the movement of their quilt sandwich. Thank you for the input Amy. I’ve been thinking about developing an intermediate level class and think I’ll head in that direction.